Santa Fe Midstream is the union of four longtime energy professionals. With more than 100 years of experience and several billion dollars in midstream transactions among the founding partners, we know how to create value for our customers. Because we have had an opportunity to work directly for oil and gas producers, we have a clear perspective on the challenges of executing an effective drilling program. Contact us to discuss how Santa Fe can be your trusted partner in the midstream business. Whether it’s gas gathering, treating, compression, transportation, NGL fractionation or crude oil & condensate handling, Santa Fe Midstream has the experience and capital to meet the needs of your project. We embrace responsible risk-taking. Santa Fe Midstream is ready to be the comprehensive provider of all your midstream needs - and with a robust financial partnership like Energy Spectrum, you can be confident we are the midstream solution your company has been seeking. Santa Fe Midstream was formed with Energy Spectrum Capital, a private equity firm focused on investments in the midstream sector of the North American energy industry. Energy Spectrum Capital was founded in 1996 to manage private equity funds that make direct investments in well-managed companies that acquire, develop and operate midstream energy assets. Energy Spectrum Capital’s partners have more than 175 years of collective experience in finance, investment and management roles. Energy Spectrum Capital brings expertise in midstream transactions and capital strength to the partnership with Santa Fe Midstream. Founded in 2014, Santa Fe Midstream is a privately held oil and gas midstream company established by a partnership between a veteran management team and a leading private equity firm, Energy Spectrum Capital. Santa Fe is headquartered in Plano, Texas with a regional office in Tulsa, Oklahoma. Santa Fe Midstream’s mission is to create value for our customers by acquiring, developing and managing oil and gas midstream infrastructure. Strengthened by diverse - yet complimentary - experiences, our partners' unique skill sets bring crucial experience and vision to the development of complex resource plays. From the wellhead to the take-away pipes, Santa Fe Midstream has critical insight into all aspects of the midstream sector. We fully understand the demands of drilling programs and the multitude of challenges faced by producers as they execute their development plans. Diligence, transparency, and innovation are the core tenets of Santa Fe’s business philosophy and have led to strong and lasting relationships. Treating customers as long-term business partners allows us to find the best solutions to our customer’s needs. With an overriding commitment to safety, collaboration and efficiency, Santa Fe will offer rapid solutions to meet and exceed customer objectives. We are currently pursuing organic growth and acquisition opportunities in the U.S. oil and gas midstream sector. Our initial emphasis is on Texas, Oklahoma, Kansas and Louisiana. Greg Kegin is one of four founding partners of Santa Fe Midstream and has over 30 years of experience in the energy industry. He is an accomplished leader and has gained a broad experience base through operations, commercial and business development roles in both domestic and international areas. Most recently, Greg held the position of Director of Business Development for Access Midstream. There he was directly involved in the development of numerous expansion projects while growing and leading the Business Development group. Previously, Greg held various management and executive positions at Crosstex Energy, Atlas Pipeline and Spectrum Field Services. He began his career in pipeline operations with ARCO Pipeline and later held increasing levels of operational responsibility with several business units of The Williams Companies. Greg Kegin received an MBA from Oklahoma City University. Amer is one of four founding partners of Santa Fe Midstream. He brings over 30 years of experience in both the power and natural gas industries to Santa Fe. Amer is a proven leader with a deep background in deal structuring, acquisitions and divestitures, business development, finance and risk management. Prior to his current role, Amer held various management and executive positions for Access Midstream, Electric Transmission Texas, Crosstex, TXU, and American Electric Power. He was CFO for Electric Transmission Texas, a joint venture between American Electric Power and MidAmerican Energy. Amer has successfully completed numerous acquisition and divestiture transactions ranging in sizes from $10 million to $300 million. Amer Rathore has a Bachelor of Science degree in Finance and Accounting from the University of Houston. Paul Dolan is one of four founding partners of Santa Fe Midstream and brings over 25 years of industry experience in both the upstream and midstream sectors. From January 2011 to September 2014, Mr. Dolan was Director of Infrastructure Services for WPX Energy, and had gathering and processing responsibility for the lower 48. His department handled midstream activities for the production of 30 MBOPD, 1.2 Bcf/d, and 30 Mbbl/d of NGLs. Prior to WPX, his experience included various management and engineering positions for The Williams Companies, ARCO Oil & Gas Company and United Engineers & Constructors. Past assignments include Project Manager for the design and construction of a 45 MMscf/d gas plant utilizing the Ryan-Holmes process, Project Developer for the Deepwater GOM and Project Engineer for the El Furrial Gas Pipeline and Injection Project in Venezuela. Paul Dolan is a graduate of Colorado State University with a Bachelor of Science degree in Chemical Engineering and a minor in Chemistry. 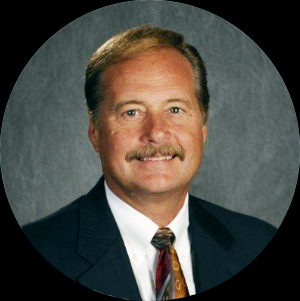 Cliff Rupnow is one of the four founding partners of Santa Fe Midstream and brings over 30 years of energy related experience. His background includes all aspects of Midstream Development, Interstate Pipeline Development, Rates and Regulatory Affairs, Natural Gas, Oil and Natural Gas Liquids Marketing, System Planning, Budgeting and Finance. From September 2005 to March 2016, Cliff held various executive positions with Quicksilver Resources and Quicksilver Gas Services. He was part of the team that built and took public the midstream business at Quicksilver, building three processing plants capable of processing 325 Mmcf/d and 4 gathering systems that handled in excess of 500 Mmcf/d. Prior to Quicksilver, Cliff held various management positions with MDU Resources, InfraSource and Great Lakes Gas Transmission Company. Cliff has a Bachelor of Science Degree in Management and Finance from Oakland University in Rochester, Michigan. Click here to read the press release about Santa Fe Midstream's new construction project in the Permian Basin. Click here to read the press release about the formation of Santa Fe Midstream. 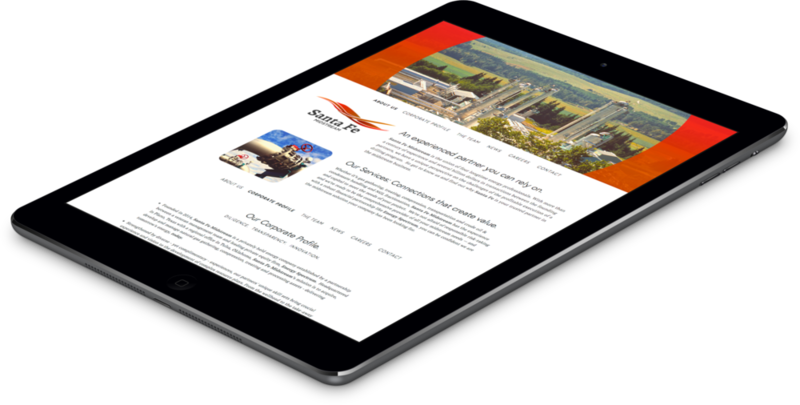 Santa Fe Midstream is pleased to announce the launch of our brand new website. Our new portal is fully responsive, compatible with the latest viewing technologies and designed to provide our visitors with a natural and pleasing reading experience. We invite you to explore it, read about our services, our backgrounds, our expertise and find out how we can make a difference to your project. At Santa Fe, we seek qualified individuals who have midstream experience, are highly motivated and focused on providing the best customer service. We are a growing company that seeks to attract and retain top-performers.